China is not only the fastest growing economy in the world, but it is working hard to fully integrate with its global partners. For this reason, business people are eagerly learning English, the international language for trade and commerce. There is such a great demand for English teachers in China, in fact, that job placement is virtually guaranteed in this country. The upcoming Olympics in 2008 have only added to this need. Teaching English in China is an incredible opportunity for anybody, regardless of their current or future field of employment. Learning about China and the Chinese languages will be an enormous advantage to anybody going forward, and is certain to be a very attractive entry on a resume Being paid to learn and teach at the same time is almost too good an opportunity to pass up. To be able to teach English in China, you will need both a certificate and help with job placement. 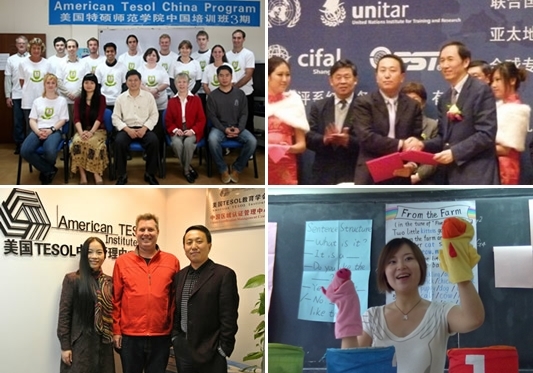 At the American TESOL Institute, we are the recognized industry leader on both counts. Our programs are designed to be completed efficiently and easily, and our job placement is unmatched. ATI is recognized by the State Administration of Foreign Experts Affairs in The Peoples Republic of China. As the job market tightens in the United States, the global economy has ushered in amazing new opportunities abroad. Teaching English in China is near the top of the list. For more information on how you can get started today, please call us toll free at (877) 748-7900. We look forward to speaking with you today.